A list of past publications is available here. Happy International Women's Day! Vol. 10, No. 1 is available for preview and purchase at www.magcloud.com/browse/issue/1576344. Help spread the news by sharing details on social media and blogs. Thanks for your continued support. PPM's vision is to give women a voice through the promotion of their art and writing. PPM provides a multicultural atmosphere that focuses on today’s women's issues—a safe, nurturing place to explore ideas and celebrate the unique experiences of women in every phase of their lives. V10N1 is filled with art and writing that explore women's experiences with an emphasis this issue on bodies and body parts in motion. 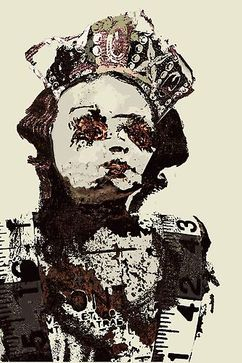 Enjoy this edition's interview and provocative art exhibition-in-print with PPM's long admired contributor Thelma van Rensburg. This issue invites readers on the road with CNF editor for a desert trip, art and writing that present bodies of potential, new contributing mini art and poetry features, a book review, and the introduction to our exec. editor's newest outreach for teen and YA girls: the aRIFT Warrior Project and it companion book, Cut Yourself Free, Warrior Sister. Pink Panther Magazine has a semiannual publication schedule. To honour International Women’s Day, celebrated on March 8th, our issues will be available for preview and purchase March 8th and September 8th. There are two ways to submit your work to PPM. The first is to submit art and poetry to our Redbubble group galleries. 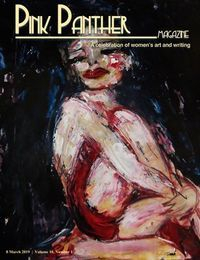 The other way to submit your work for publication consideration is to email it to pinkpanthermagazine@yahoo.com. You may submit in multiple categories and are welcome to submit additional work once you've heard back from us. For a complete breakdown of our email submissions guidelines, visit our Submissions Guidelines Page. 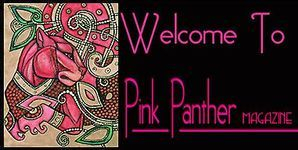 If you are interested in becoming a contributing writer and developing or reprinting an article in a future issue, please send a 150-word query or a link/file for previously published articles to pinkpanthermagazine@yahoo.com. More info is available on our Submissions Guidelines Page.